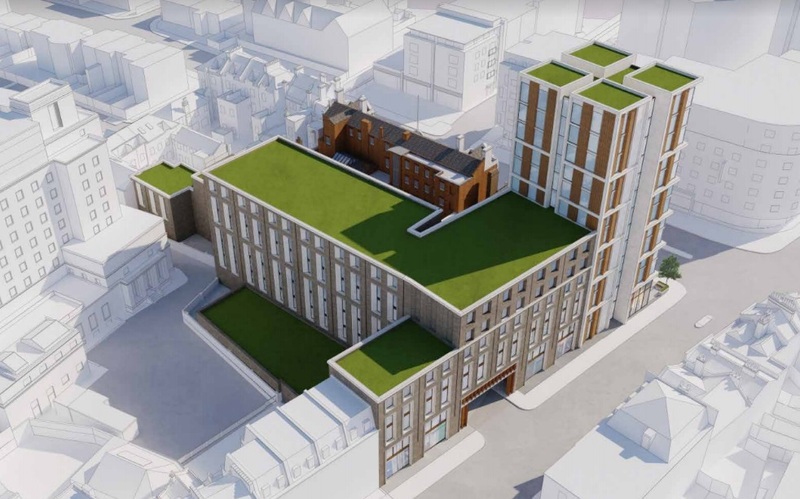 Consultation on plans to convert Greenwich Magistrates Court to a 300-room hotel have been underway over recent months. The site has lay empty since a wave of court closures occurred in 2016, including Woolwich County Court. Greenwich Magistrates Court, which is Grade II listed, dates back over 150 years. The building with be comprehensively refurbished. 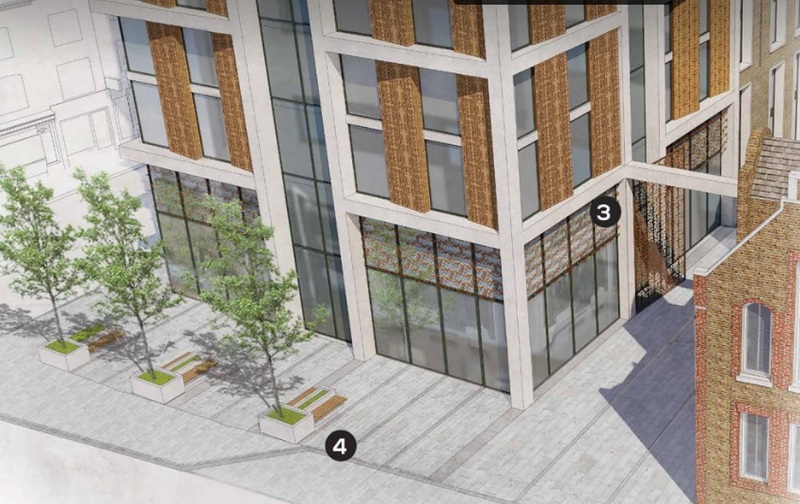 The interior space will include courtyards and lightwells. The buildings opposite, seen on the left above, and in terrible condition. One appears to be fire damaged. It’s a very poor introduction to Greenwich. The tower isn’t the most exciting building in the world though one intriguing feature is terracotta patterned panels with court-related motifs. One benefit of a new-build is that it’ll be set back from the road permitting more space for pedestrians. The consultation mentions plans for 67 car parking spaces and a coach drop off point. That seems a high number of parking spaces for a site with such frequent public transport links. Directly opposite the former court building is a Travelodge with a Double Tree hotel behind. A bit further down Greenwich High Road is a Premier Inn, then another Travelodge and a Novotel. With so many tourists on the doorstep it’s an ideal place for an enterprising soul to set up a business. A full planning application is expected soon. Thanks to Ben Rutledge for the heads up on twitter. 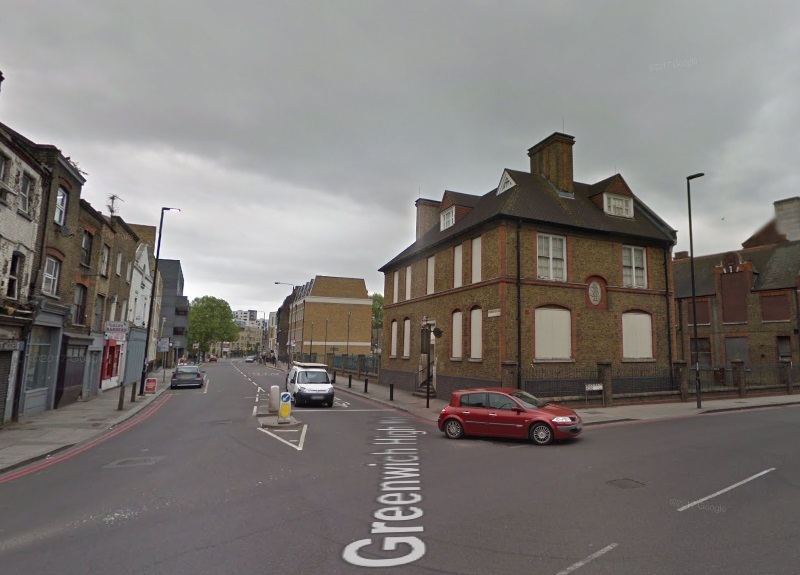 A new hotel on the site will be better than leaving the old Greenwich Court building empty for years to fall in to a state of disrepair. However, if we are going to have more hotels in the Greenwich area. Greenwich Council and Greenwich Tourist Board need to do more to attract tourist to the area all year. Most people holiday in warm weather and Greenwich is packed in the high season. I can’t see what can be done to bring people here ‘off season’ when so much of what makes Greenwich worthy of a visit is outdoors.